In this guide I will be showing you how to install the XENON build by Diggz on Kodi 17.6 Krypton. 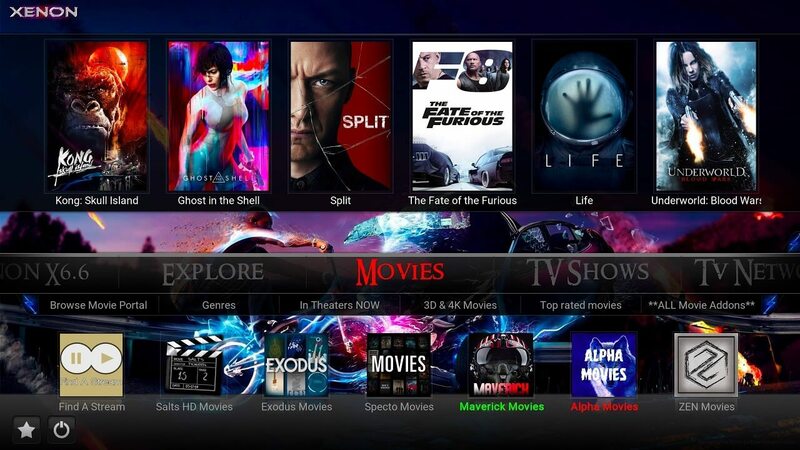 The XENON build is an incredible build with so many options and great addons making it one of the best available right now on on Kodi 17.6. The build includes all of the most popular and best Kodi plugins and addons that you will allow you to watch and stream and endless amount of content for free. This build is easy to install as it is available through the Ares Wizard and is one of the top builds available on there right now. The build works on devices such as the Amazon Fire TV Stick and other Android devices/Android boxes. The build is very fast and has great performance with no buffering or lag as it is optimised for speed on all devices. Find Diggz Fire Builds and click it. Now select your build e.g. Xenon Clean. Go to the bottom, find the Xenon Clean Build and Install. How easy was that? You now have the latest XENON build installed onto Kodi 17.6 Krypton! You can now enjoy unlimited, FREE content and so much more all from your Kodi device! I have been using this build for a while and I have loved it so far!